A good plumbing software is one of the best tools you can get for your plumbing company. It automates and organizes your business and makes it easy for you to concentrate on delivering better services to your customers while all the other aspects of operating a winning business are fully taken care of. However, with a lot of options available, it is essential that you are making use of the best plumbing software of the lot. Using a less-than-standard software would put your business at a terrible disadvantage instead of helping you. You don’t want software that will complicate the organization of your business. There are certain features a great plumbing software must inevitably have if it will do your business maximum good. Here are some of them. How well does it automate dispatch and scheduling? One of the top things to look out for in every plumbing software is how much it brings automation to your business most especially in the area of keeping a perfect schedule devoid of errors and clashes. The best plumbing software is one that takes all the tedious process of keeping a perfect schedule and organizes it in such a way that it is completely errors free. Cutting down on errors like double booking of field techs effectively should be one of the top features of your software. if it fails to do that then it is not worth being used in the first place. When choosing the best plumbing software it must also be able to make dispatching easy. Being able to manage communication between base and field is one of the major challenges faced by plumbing companies. Thus a business cannot be considered fully automated until it takes the stress of that part of the process. Your software should help you tell where your technicians are on the field and make it easy to communicate with them, the location of a new order. You should be able to tell which of your field techs is free and who isn’t. this way you will know who to assign tasks to. Fostering effective real-time communication between base and field and vice versa should be one of the top features of your software. it doesn’t make that possible then you shouldn’t even be using it. How much of your company’s paperwork does your software help you eliminate? It’s a digital world and everything is leaving the pages of books and getting on the computer screens. If you are going for the best-automated software in the market, it has to be one that makes it possible to organize your business with as little paperwork as possible. Here are some aspects of your business that rely heavily on paperwork that a field service software should be able to cater for. Taking work orders: filling in a work order used to be quite tedious in the past. Having to manually input all your customer information every time you get an order can be time-consuming, even worse when the caller is a repeat customer you have attended in the past. A plumbing software should be able to autofill a work order for an existing customer and make preparing one for a new customer a complete breeze. Accounting and reporting: This is another area of business that relies heavily on endless paperwork. Your accounting staff have to over several daily transactions and ensure that the books are well balanced. This makes the process of getting valuable information like your financial statement take days or even weeks in some cases. The best plumbing software should make it easy for you to do this without stress. A good business software should not only make it easy to compute accounting information, but it should also make reporting easy and instant as well. You should be able to get your up to date financial information with just the click of a button. Inventory management: Here is another area manual bookkeeping won’t work anymore. Instead of manually registering every item you have in your store on paper, you should be able to input it on a software that helps you keep track of it. Not only that, your software should be able to remind you when an item in stock is getting low. This is a major advantage over the manual process. Forgetting to take inventory is a common human error a software should be able to do away with. Does it help you process payments faster? How well does your software automate the process of getting paid for your services? This begins with invoicing. Your software should make it easy to prepare an invoice and eliminate all errors associated with doing so, like forgetting to send the invoice which is a common problem that delays payments or makes it impossible all together. An excellent plumbing software should be able to send an electronic invoice to a client on completion of the job. This way you save days of paperwork preparing the invoice and waiting for a response from your client. A more effective software should even directly affect the way you get paid as well. It should make it possible for you to process payments onsite rather than having to go back to base and wait for the client to respond which can be time-consuming, instead. You should be able to take payment on the spot with your client’s credit card using your automated software. Getting this way as a lot of perks including helping to keep your cash flow on a consistent level. It will also leave your customers impressed as well and might influence their decision to hire you again when they discover how efficient you are. Is it convenient to use and affordable? Let’s face it, what’s the point in using a complicated software that is supposed to make business easier. You don’t want to spend time training your staff or hiring new people with a background in software before you can make use of a software. instead, your plumbing software should be as intuitive as they come and easy for both your office staff as well as your plumbers in the field to use. It should also be easy to install. The best plumbing software is one that doesn’t require you having to spend money on super powerful computers or extra devices. It should be mobile as well. Your field technicians should be able to access the software on their mobile devices or tablets on the go since they will be making use of it on the field. Finally, it should be affordable. A good software isn’t necessarily expensive. In fact, your software despite its versatility should still come at a price that will be easy for you to afford. Having to spend your entire profits on a plumbing software isn’t a good idea. It should help you make more money while saving you more money as well. With all said, finding a software that fits this profile might be a daunting staff. It might be easier to find one that only fulfills some aspects of this general requirements, but getting one that performs all these functions all at once might seem close to impossible. However, FieldSurf is a field service management software that has all of these features and more. 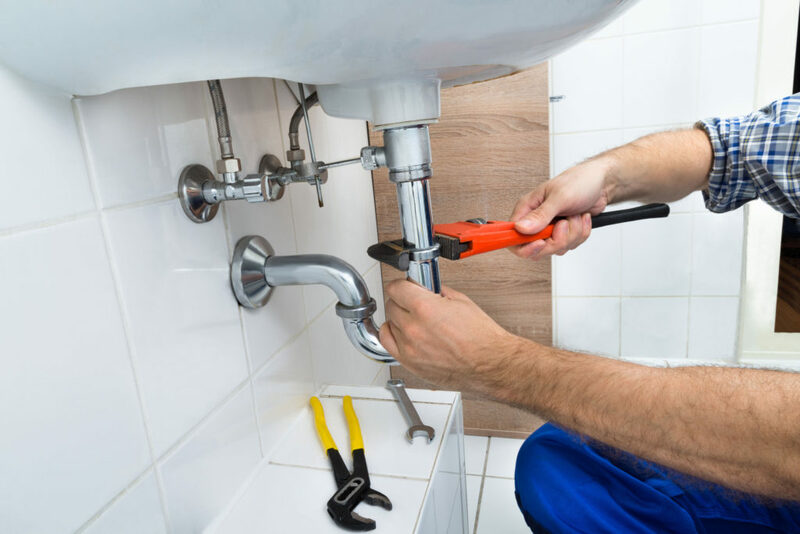 little wonder smart businesses in the field service industry including plumbing companies are fast taking advantage of it and leveraging it for business. Not only is FieldSurf a versatile tool for business, but it is also easy to use and quite affordable as well. giving you complete business automation at an affordable price. It is indeed the best plumbing software to get if you want to automate and organize your business without spending beyond your means.